Caryn Hartglass: Hello everybody! I’m Caryn Hartglass, and it’s time for It’s All About Food, how are you? I am extremely well. I’m actually on location, so for the month of June we are not in New York we are in California, and I’m getting an enormous dose of vitamin D, I keep hearing from so many people how they find out they’re low in vitamin D and if you haven’t had your blood checked you should, because many of us do have vitamin D and vitamin D seems to be linked to everything wrong today with peoples’ health. So get out in the sun when you can, don’t stay out too long, like tanning for eight hours on the beach, but it is important to get it and I am getting a great amount of it, and it feels so good. I think it helps with depression too. Sunshine just makes you feel all sunny. Now I wanted to mention a few things first, I wanted to give a big shout-out and a big round of applause for everyone at Progressive Radio Network, we’ve been going through a relocation, moving to a temporary studio, and now a new permanent studio, everyone’s been doing a lot of great work and I really appreciate everyone on the staff at PRN, thank you for everything you’re doing. Yay! Now I’ve missed the last two weeks, and I’ve missed you and doing this show so this is going to be a great one today. Really looking forward to it. Have you heard today, the FDA put out a release, and they’re basically taking the steps to remove artificial trans fats in processed foods, and they’re saying that based on a thorough review, of the scientific evidence, the US Food and Drug Administration, today, June 16th 2015, finalized its determination that partially hydrogenated oils (PHOS) and primary dietary source, the primary dietary source of artificial plants and processed foods, are not “generally recognized as safe” The acronym for that is GRAS. I like that because it’s also French for “fat”. Food benefactors will have three years to remove partially hydrogenated oils (PHOS) from products. And I love this, but it’s taken the FDA a really really long time to do this. You cannot rely on the government to give you the best and most current information in health. They take a really long time to move. Do you know that trans fats or partially hydrogenated oils came on the scene back in 1911, with Crisco and it’s been in the food supply for over 100 years, and now we’re learning it’s not good for us. And what else are we going to discover that isn’t good for us? The NRDC , the National Resource Defense Council, has a petition to ban synthetic flavorings; they’ve got a list of seven of them that are listed, as carcinogens, benzophenone, ethyl acrylate, eugenyl methyl ether, myrcene, pulegone, pyridine, styrene, we see that a lot, and trans trans 2-4 hexodienal. Great stuff. We don’t need to eat it. I wanted to mention that, people are afraid of chemicals, but what you have to realize is there are good chemicals, and there are bad chemicals. Our whole bodies are filled with chemicals: good chemicals that, when in balance, are doing amazing things for us, every second, hundreds of thousands of chemical reactions going on all the time to keep us in balance. So we shouldn’t be afraid of chemicals, but what we should be wary of are the synthetic flavorings, preservatives, and all kinds of things that are put in our food. Especially because they most affect our children. And that’s why I’m going to lead introducing, my next guest, Dreena Burton, who’s the author of a wonderful new cookbook, Plant Powered Families, and we’re going to be talking a lot about the power of healthy food for children. She’s been vegan for almost twenty years, writing best-selling cookbooks, four of them charting her journey as a plant-powered cook, and at-home mother of three. Always passionate about creating nutritious recipes, she’s an advocate of using the vegan basics to create healthy, delicious food for the whole family. Welcome to It’s All About Food, Dreena. Dreena Burton: Thank you, Caryn, it’s good to chat with you again. Caryn Hartglass: Thank you. You know, this book is really an important one, and I’m kind of going to gush about it for the next half hour. I look at a lot of vegan cookbooks, I’m glad there are so many out there, but there aren’t many that I get excited about. I’m excited about yours. Dreena Burton: Oh, thank you. Caryn Hartglass: You know, this, I love the expression “plant-powered”, and right now I’m doing a six-week online course with John Robins and his son Ocean, it’s called Plant Powered and Thriving. Caryn Hartglass: The thing that we continually hear from people doing this course, most of them are women, and many of them are parents, they don’t know what to feed their families, they don’t know what to feed their children, they don’t know how to introduce healthy foods into their family lives, and you’ve got all the answers in this book! Dreena Burton: Well, at least some. To help people, yeah. Caryn Hartglass: And what really rings true is, in the book, you can tell that you’ve made these recipes. You’ve fed your kids. You’ve really walked the walk. Dreena Burton: Yeah for sure, this is how my kids have been eating since they’ve been wee-, I call them weegans, and from the beginning, and they love, I say it all the time, they love their food, and it sounds really kind of corny and people look at me and say “Yeah really, do they eat that?”. Yeah they do, they really love their food. And I always say that kids really, diet is a learned thing, so kids really grow to love the foods that they know from an early age. And if they know a lot of processed foods and junk it’s really what their palette is going to become very accustomed to and want, if they are enjoying nourishing nutrient-dense plant foods. Then again, they’re going to enjoy those, and know when their body really wants something. Like if they want something really water-rich, like fruit, or if they need something a little more grounding and dense, like nuts or grains, or something like that. They can sense that, I get that from my kids. Caryn Hartglass: Isn’t it amazing? Dreena Burton: Yeah, it is. Caryn Hartglass: One of the things that’s frustrating, I’m not a parent, but I’ve hung around with a lot of children, I was one once too, kids know, especially the really young ones, know when they don’t want to eat anymore, and I’ve seen so many parents try to shove more food in their mouths. Dreena Burton: Right. And the opposite happens when, like I say to parents when we’re working, that think their kids are picky. They really are, when they’re very young and toddlers and at that young stage, it’s not so much about picky, it’s just that they’re exploring, they’re moving, they’re busy. When they’re hungry, they’ll eat. They’ll eat! They’re hungry. And they’ll also tell you when they’re done. I mean, yes, sometimes you see kids and they’re moving their heads from side to side, no, they’re done, and they’re still pushing the spoon in their mouth, I just think it’s the way we’ve been brought up, to overfeed in a way. But they know when they’re done, for sure. Caryn Hartglass: Yeah, and when we move to a healthier place where we’re plant-powered, we know when it’s time to eat too. The body works when you let it work. Caryn Hartglass: Now, I know with cookbooks, people just, well I don’t know this for sure, but I think what people tend to do is thumb through it, look for something that looks nice, a picture or something that has an ingredient they’re looking for, but I really recommend reading this from start to finish and it starts being great from the introduction. So I wanted to touch on a few things that you mentioned, that it’s not the vegan part of parenting that’s difficult, it’s the parenting part. Dreena Burton: Yes it is. Caryn Hartglass: But that’s profound, and you’re just right on with that. Dreena Burton: Well, you know, parents, I hear from parents all the time on my blog, my email, and I actually have a parenting group set up on Facebook now, which is really growing, people are supporting each other, it’s wonderful. But I get this all the time, like, “how do you get your kids to eat vegan”, or “do you find it so hard”. Really, when you’re eating vegan, for, what you make, that’s whether you’re into it for a year, or longer than a year, it becomes so part of your life, that it’s not difficult, it’s just prioritizing healthy eating. So you find that time to prep food. And you find that time to maybe batch up some soups or muffins or things on the weekend. We find ways to prioritize other things in our lives, and we just need to prioritize that important part of healthy eating, for our families. And so, it’s all the other stuff with parenting that’s difficult. What goes on at school, and sports politics, all kinds of things. Dramas, sibling dramas. The food part for me is the easy part. Caryn Hartglass: Wow. That’s good to hear. Now you had your own personal issues with health before you became plant-powered, and I was surprised to read that you had issues with sore knees and gout, you were really young when that happened! Dreena Burton: I was, I was in my early twenties, and I felt terrible. My digestion was really sluggish, slow, and I just kind of thought that’s what happened after you ate, you just felt really awful. And I, I love dairy, I didn’t eat a lot of red meat at the time, but I did eat every other animal product that was available. And I really loved all things that were dairy, like cheese, and ice creams, and yogurt, and I thought they were so good for me of course, and in university, I felt really uncomfortable, like my body just felt uncomfortable most of the time, and my joints felt stiff, my knees felt stiff. Yeah, I had like that swollen part of my toe, is, I thought “what is going on, I’m twenty-three, I feel like I’m twenty years older, thirty years older than I am, so how am I going to feel when I am twenty or thirty years older?”. And now, I’m forty-four and I actually feel better than I did when I was twenty-three, apart from occasionally being one-upped by my kids. But, in terms of my energy levels, for day-to-day, and my eating, like my food energizes me so it’s completely different. 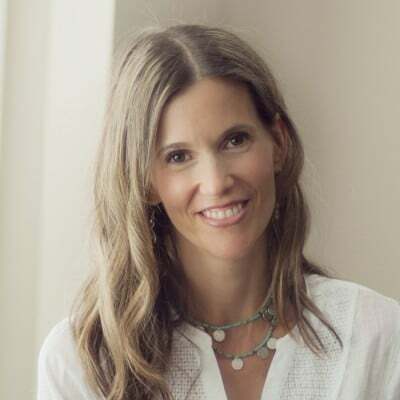 Caryn Hartglass: Well I’m glad that you are plant-powered now, because if you were experiencing those symptoms so young, I can’t imagine if you continued where you would be today. Really, it would have been pretty bleak. Dreena Burton: I think so too. Caryn Hartglass: Yeah, so good for you! Now, The second two-part- the last two parts of your book, after the recipes, are so important, where you’re talking about children and how to educate children, how to work with children in the kitchen, and then the last section is about having parties and socializing. Very important topics, and maybe we could touch on some of those things with children. So one of the things that you do, is you talk to you children about why you eat the way you do. Dreena Burton: All the time. All the time, I mean it’s like we talk to our kids about so many other things in our lives, and, as a parent you realize that as they get older, all of these topics come up in their lives that we need to talk to them about, like bullying at school, peer pressure, things related to, you know, alcohol and sexuality. And all of these things. And as a community, we find ways to talk to our children about that in school and at home, yet we never talk about food. Instead, at school, they’re just bombarded with a lot of junk and at parties, and it’s so, to me it’s really backwards. And in sports, we spend a lot of time investing time and money in sports, yet, we’re not feeling them. They have good nutrition, and so, we’ve talked to our kids all along from an early age, and everything is very age-appropriate, of course, when they’re really young you talk to them at, you know, that age where they can understand, and they guide you with their questions. Just like anything, they’ll ask for more information, and sometimes when it’s too much, you know by there, they’re ready to sort of move on to the next topic. But even in terms of just simple things, it doesn’t have to be complex, it doesn’t have to be really deep and scary, but even just something as simple as “what do you think is in the dinner tonight?”, “what do you think went into this soup?”, and get them talking about ingredients or how you made it or maybe we’ll go to the market and find something new that they want to try. Just get them involved, sometimes we feel like kids have to be really involved with the actual cooking process. And that can be stressful for moms, when there’s a lot going on and activities, and there’s little time to prepare a meal. So I encourage parents to get their kids involved in other ways, like pick out a recipe, talk about a new food we might pick up to try this week, or just talk about the food in general. Caryn Hartglass: Well, I know that the biggest problem we have as humans, and it affects everything in life, is communication. And that’s one-on-one with individuals, it’s with groups, it’s with cities, states, countries, and maybe sometime in the future with other planets. Oh, I hope we learn to communicate well by that time. And all of our prompts stem from a lack of communication and these food issues with children, talking to them, and not talking down to them but talking with them and, like you said, and in ways that they can understand make all the difference. I was talking to someone yesterday and she was convinced that our big problem with food is that the schools, not only do they not serve healthy food, but they don’t teach kids how to prepare food, and I’d like to see it everywhere. I’d like to see kids learning how to make food at home and at schools as well. Dreena Burton: Me too, because it’s a life skill. And, you know, we put our kids in lessons for other things, swimming and skating, and, in school they’re learning the basics of reading and math and all those things, but they don’t learn some of these necessary skills and yeah, the food culture in schools with hot lunches and just what happens with parties is often so processed. Almost all the time, it’s so processed, and filled with sugar and colors, and dairy as well, it’s a little disappointing. When I first saw the scene at one of the school parties, I peeked in at lunch hour and saw what the kids were eating, it’s a little disheartening, so much that is processed and packaged, and not even really resembling, you know, natural food. So there’s work to do, but kids, they will embrace it if you give them the chance. Our school did bring in a, this year they brought in some produce, and distributed it through the classes to the kids, so the kids had chances to try, you know, cucumbers or apples and oranges. And I really saw the kids were loving to come out with an apple and eating it. It’s interesting for them. Because maybe at home, the apple’s always cut up, or maybe they don’t try cucumber because their parents don’t like it themselves. So they do get really excited when it becomes something they’re learning and something they can touch, feel, try, that kind of thing. And some of them don’t always have that opportunity to do so at home. Caryn Hartglass: Back up a minute, you said sometimes kids won’t like something because their parents don’t like something. Now, I know I’ve seen that so many times where you offer something to children, and their parent will scrunch up their nose and say “No, no, no, he won’t like that…” because they don’t like that! Yeah, and the kids read from their parents what they should be doing. Dreena Burton: Totally, and modeling is really important, I mean it’s not enough to say “eat your veggies” when you’re not eating them, sneaking back to get some chips from the kitchen and telling your kid to eat the carrot sticks. They watch us, they watch us really closely, and our eldest, she’s fourteen now, our girls are fourteen, ten, and six, and so our little one, she is not into the greens, which, we do green smoothies, she drinks those, but in terms of eating greens straight up, no way, she’s not eating those, but she’ll eat other things that are green, like zucchini and asparagus, you know, you work with what you’ve got with the age and you build on it. But now, with my fourteen year old, I see how much she has grown with it, and so she loves salads and she’s always seen me eat steamed kale and lunch bowls and that kind of thing, and she asked me one day to try it and I said, “Sure!” And she, she loved it, so now whenever she’s home for lunch, she says, “Mom, will you do me some steamed kale for lunch?” I say, “Sure!” You know, and I think really at fourteen, I never even knew what kale was when I was fourteen, like it’s really a growth, and we need to kind of keep that in mind as parents and not just get frustrated and throw our hands up when they’re eight or nine and not eating it, but just keep, keep rescinding it, and keep adding part of your life, because then it becomes part of theirs. Caryn Hartglass: Make it a part of your life, yes, I’m underlining that one. I guess I’m going to look forward to one of your future books, which is Feeding Teenagers. Dreena Burton: I know, we just entered the teenage years, so we shall see how that goes. Caryn Hartglass: Yes, well it sounds like you’re getting a good beginning, so I think it’ll be a very positive experience. Dreena Burton: So far, it is, and she’s, she loves just about everything, there’s not much that our fourteen year old will not eat, and she sees her friends, they eat all the processed stuff, she’s not even interested in eating it. So, it’s not like she doesn’t want to have fries if we go out to a restaurant or something, sure and I let them, yeah, have some fries, but when she sees her classmates eating all of these like processed pastries and chips and things at school, she doesn’t ask for them, she juts eats her lunch, and she enjoys it, and she eats, they have really good appetites too, like they really eat well. So, so far, so good. Caryn Hartglass: That’s good, now when they were younger or the younger ones, they weren’t confused or unhappy that their food didn’t look like the other kids’ in school? Dreena Burton: No, there’d be times when they were little, like situations would come up with parties where it’s confusing, right, so I always talk to the teacher ahead of time and let them know what our diet is, and for parties I’ll always talk to the host and say, “Hey, this is how we eat”, I will bring the vegan equivalent of whatever you’re serving at the party, which is almost always pizza or hotdogs, and I’ll bring a cupcake, or sometimes I bring a little frozen ice cream treat, yeah, because kids love those, and the other kids at the party want them. And so I always prepare that in advance, there are times at school parties where they eat something that they think is vegan or someone says “Oh you can have that”, and kids that are really young, they believe what the adult is saying, sometimes they come home and tell me they ate it or that they’re not feeling very good and then I know why, and we have the discussion, but it’s all okay because it’s opening up more discussion and helping them learn and sort of make that distinction for themselves as they get older. So, my littlest has been saying a lot, she comes home, oh once a week she says to me, “Mommy you know”, and she’ll give me a name, “…so and so eats vegan food”, and she’s talking about someone in her class, and I always say to her “Yeah, everybody eats some vegan food, hon, because look at all the foods we eat that are vegan. Everybody eats — most people eat bananas, and potatoes, and rice, and beans, and corn, and I list of foods, and I say, they’re all vegan. So yeah, they’re eating vegan food, we just happen to eat everything vegan. And that kind of helps, you know, her, and I actually said that at a talk recently, and one of the parents said to me, that actually makes a lot of sense. And it’s actually really natural and wholesome, and it’s the most, you know, unprocessed natural foods, so it helps frame it sometimes, well, for big kids too. Caryn Hartglass: I was at a little gathering last week, and before we got there, the host said, “I’m sorry, but there won’t be any vegan food there”, we all, you know rolled our eyes a bit, and then when we got there, there was a whole spread of fruits and veggies, and it was all clean, and plus they went out of their way and got a vegan cheesecake from whole foods for us. So there was plenty of vegan food, but it’s just funny that people don’t realize how many foods they eat are plants! Because nobody knows what they’re eating. And I was going to say, there’s a little bit more in our favor, unfortunately, because of all the allergies that are going on today, and schools have to be really vigilant with children that have celiac disease, or peanut allergies, or nut allergies, and on and on and on. So more teachers are aware of what’s in food. Dreena Burton: Yes, that actually does work to our favor because when I’ve always talked with teachers, and I’ve had some teachers who have been really supportive and gone out of their way to do vegan treat for the girls, like if it’s Halloween, there’s always treats handed out every occasion of the year. So some teachers are really quite interested and cooperative, but they really do need to be aware, and so it does work to our favor in that regard. The only thing that can be tricky for parents is the nut-free policy. Because it’s usually that schools now are not just peanut free, but totally nut-free, so often, parents get really nervous about that when their kids start, wondering “What can I put in my kid’s lunch?”, because everything has to be nut-free, and they’re eating almond butter at home and etcetera etcetera, so I talk a lot about that in the book, and give people tips on how to pack lunches that are nut-free and I try to do a lot of nut-free adaptations with my recipes as well because it is pretty important, I have not had a year yet with my girls where I could send nuts to school. Caryn Hartglass: I have been doing some of what you have been doing in the book with some of yoru recipes, offering some nut-free variations. I’m kind of delighted what I am discovering. I’ve said this before, I am going to say it again. Every time I eliminate foods from my diet I find that the repertoire expands. Dreena Burton: That’s very true. Caryn Hartglass: It’s happened when I eliminated meat and dairy, for a while I went all raw. Then I wanted to discover gluten-free foods. Now I am working more towards nut-free foods, even though I don’t have any of these problems but I like to play around and discover how to do things. It’s amazing what you can do with seeds! Caryn Hartglass: And they’re cheaper. Dreena Burton: And hey are very high, most of them, are very high in protein and calcium and iron, they are really nutrient dense. And as you say, they are a little under-utilized. I found that seeds and beans are often under-utilized. You can use pumpkin seeds, chia seeds, you can do a lot with them. I actually had a recipe tester and we kind of connected outside of that and become friends. One of her sons eats vegan and he’s quite allergic to a number of things like legumes and nuts. She modified almost all of my recipes using hemp seeds and finds most of the time it works very very well. Caryn Hartglass; Warning though, you cannot legally eat hemp seeds in Australia! Dreena Burton: That’s true! It’s crazy. Caryn Hartglass: It’s crazy. I just discovered that recently. And that’s just crazy. It is wonderful to know and maybe one day we’ll grow hemp seeds in the United States and they won’t be as expensive as they are because they are so easy to use. So nutritious. Well we just have a few minutes left. I wanted to highlight some of the recipes that I thought were, that I think people would really like a lot. Things that kind of work well in my life. Baked tofu – I am glad you included that recipe. It is so easy to make. I find that baked tofu in the stores, although it would help people get to know baked tofu, they tend to be too salty for me. Dreena Burton: I agree. It doesn’t always have a lot of flavor as much as it has salt. Yeah, and the flavor doesn’t always absorb into the tofu. This technique, is the easiest thing in the world, and that’s why I put the recipe in there. I do it often for the girls in their lunch. It’s so easy and all the flavors just get right in there. Caryn Hartglass: Yeah, it’s great on a sandwich, great in a salad, it’s great just nibbling on, like cheese. I’m nuts over it. And then you have a white bean guacamole. That’s a nice recipe. Dreena Burton: It’s really thick too. Guacamole is rich and delicious but when you add the beans it actually makes it, it may sound weird, but it makes it a little cheesy, very thick and luscious and really satisfying. Caryn Hartglass: As you mentioned before, beans and seeds tend to be under-utilized, we are doing all we can to up the image of these important foods. We’re continually learning how important beans are. I love this, white bean guacamole. I am going to make it. I love what’s happening with the nut and seed based cheeses. You have a mild cheesy dip. Caryn Hartglass: What’s great about it ism okay there are tons of different cow and sheep and goat based cheese out there. It’s variety and now we are creating all kinds of cheesy sauces and even harder cheese that are made from a variety of nuts and flavorings, we have a wide variety that are continuing to grow. Caryn Hartglass: Yay! The last one I wanted to mention was your berry jam. What a beautiful picture. So bright and colorful. Dreena Burton: Thanks. I just made a batch of that yesterday actually and picked up some organic strawberries on special. Our eldest just loves that jam and she went wild. She came home and I had made up a batch and the whole house smelled wonderful. It’s great because there is no sugar added. It’s just the fruit and I add chopped dates, which adds that extra level of sweetness. A lot of people don’t want sugar of any form put it so that adds that very natural sweetness and then the chia seeds thicken it and it’s a beautiful easy recipe. Caryn Hartglass: And it’s less expensive then if you buy jam already jarred in the store. Dreena Burton: And the flavor is completely different. Caryn Hartglass: It’s so much better. I like to make jam from dried fruit. I just boil them up with water and then blend them. It is the easiest thing. I am going to try this berry jam very soon. Dreena Burton: I hope you do. Caryn Hartglass: Dreena thank you for joining me on It’s All About Food. I can’t believe the half hour has gone but it is. I am going to be telling a lot of people about your wonderful Plant-Powered Families book. Dreena Burton: Thanks so much Caryn. Have a good day. Dreena Burton: Okay bye bye. Caryn Hartglass: Bye bye. Let’s take a little break shall we. Then we are going to be back and talking about good karma.